Thank you very much, you have a great blog! Very good blog, got most of the music I like to listen. 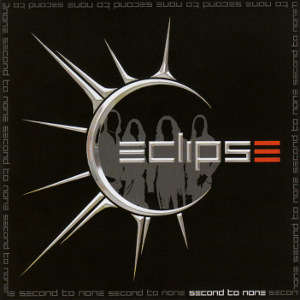 I’ve tried to grab “Eclipse – Second to none” several times. A re-up to a better hosting service (e.g. Megashares) would be highly appreciated. First complaint I ever had about iFile.it. My guess is that you either tried during *rush hour* or the specific server in which the archive is stored [“Cluster Location” according to iFile.it ] was under maintenance/malfunctioning temporarily etc. ‘Cause when I gave it a go this afternoon, I got the MAXIMUM bandwidth (and by that I mean the nominal value of my DSL line), something rare for non-Premium users. Anyhow, I added another mirror just in case. A very, very slow DL speed. Maybe it had got something to do with the fact that I’ve not registered myself there. So your quick mirror service was very helpful – thanks mate. btw, since the migration of iFile.it to FileCloud.io the DL speed seems to have increased – at least for me. Dear friends, what’s the password?